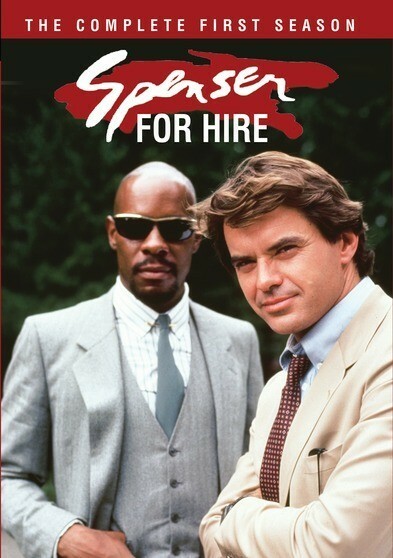 Robert Urich stars as Robert B. Parkers legendary Beantown gumshoe-with-a-difference, Spenser. Spenser is cut from a very different cloth than the usual round of TV detectives, a renaissance man who isn’t afraid to mix up a gourmet salad or just mix it up. Full-time bookworm and former boxer, the stylish Spenser drives a vintage Mustang that calls out his own sense of time and place – a yearning for a simpler time of ethics and standards, and diplays an appreciation of the best of the past in the present. Keeping Spenser in touch with his complex inner life is his psychologist soulmate, Susan Silverman (Barbara Stock), while the street-savvy Hawk (Avery Brooks) guides Spenser safely through Bostons labyrinthine underworld. Richard Jaeckel costars as Spenser’s friend on the force, Lt. Quirk. Notable first season guests include William H. Macy, Chuck Connors and Shirley Knight. 1985 – COLOR – 6 DVD Set.